Ryan’s Rustic Apple Pie ~ Larrupin! This Rustic Thanksgiving Apple Pie by Ryan is truly the definition of Larrupin! It was not fancy. It didn’t look like something you’d find under a plastic cover at the grocery store. The contemporary keywords of Rustic and Artisan apply. Oh, and delicious! Ryan is my nephew and he made this from scratch. Which means he made the crust too. Especially the crust. It was the best pie crust I’ve ever had. You’ve heard the phrase Easy as pie? There’s truth to that. Pies are easy. Roll out a crust. Fill it with fruit and sugar and put another crust on top—or not—then bake it. Easy peasy. But there must be something to the technique because this was beyond amazing. He baked two pies the day before Thanksgiving and was such the connoisseur that he put them back in the oven before dinner so it would be just-right-warm when we ate it later. At the end of the day we each piled up a plateful of leftovers to take home and I politely only took one slice of pie. I’ve been hoarding it and finally ate it this morning. After 30 seconds in the microwave I smeared it with a dollop of Creme Fraiche, one of my favorite dairy products. Oh my! Ryan is dad to three of these cuties —the white sweater and two plaid shirts—I shot last Thanksgiving. Ryan is also just one of the math/computer geeks in the family. 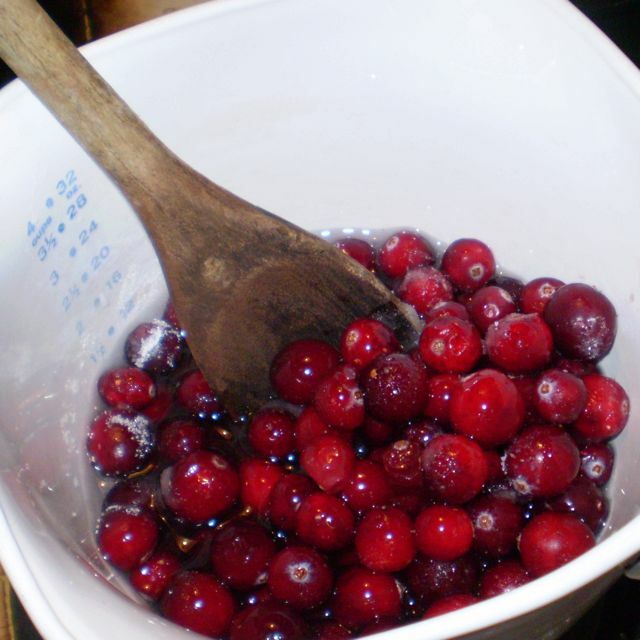 Homemade Cranberry Sauce. Yes! It’s really that easy. My holiday plate may be four inches deep with turkey, dressing, mashed potatoes, giblet gravy (no liver please), green bean casserole and all the other classics, but it’s not complete without a generous tablespoon or two of homemade cranberry sauce smushed down in the middle of everything. I make sure a smear of that crimson tartness is in every bite I take. 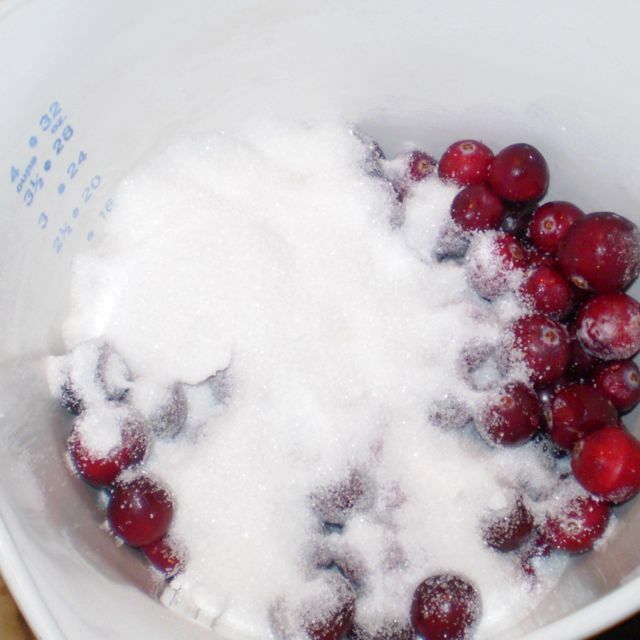 I always offer to bring it to family meals to be sure it’s on the table.The recipe is on the back of the package of cranberries. You can find them in a plastic bag in the produce department. This is best served at room temperature. 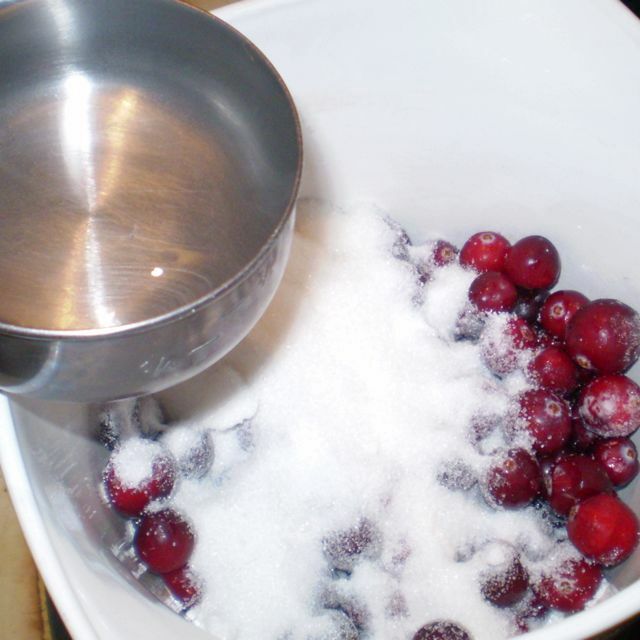 If you make it days ahead of time keep it in the fridge and take it out and let it warm to room temp before scooping into a small bowl for serving. If you have to make it the day of the event make it as early as possible. 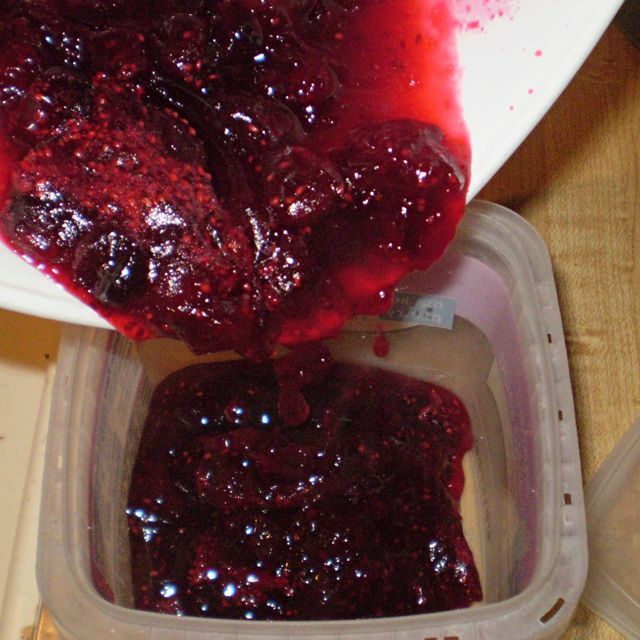 Let it cool 10–15 minutes and pour it directly into the serving dish. Place a piece of plastic wrap directly on the surface of the sauce to keep a skin from forming. Put it in the freezer for a few minutes for a quick cool down and then leave it out to adjust to room temp before serving. Keep in mind this will bubble up as it cook, so choose your pan wisely. Place it over medium-high heat. 1. 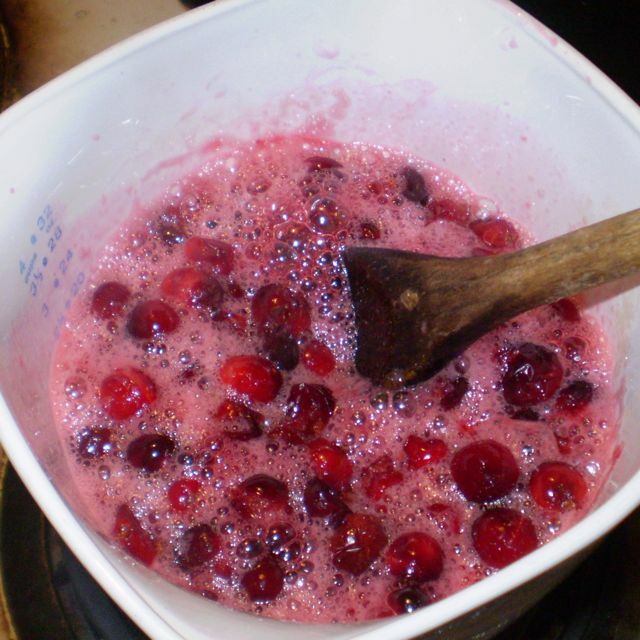 Cranberries go into the pan. These are still frosty from the freezer. 4. Stir to disolve the sugar. 5. Cook until all the berries pop. Stir occasionally. 7. Let it cool some and before it congeals pour it into a container for the fridge. If there are leftovers, pour it over a block of cream cheese and smear it on a cracker. My mom spreads it on toast like jelly. 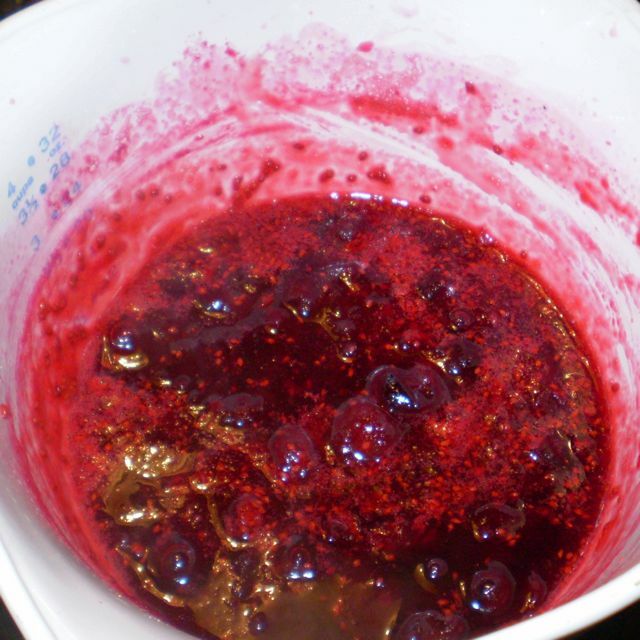 I recently discovered the joys of Cranberry Mustard, but it’s not cheap! 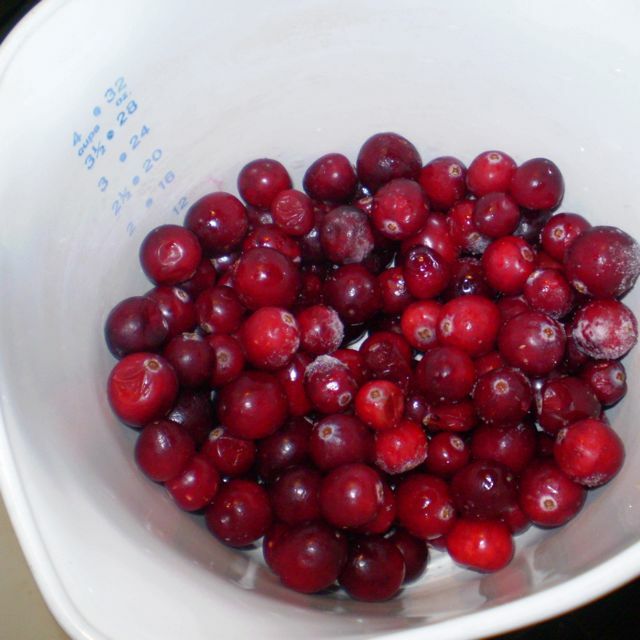 I will shortly be pureeing a small batch of sauce to see if I can come up with my own home brew of cranberry mustard. I’ll let you know how it turns out.